This group of actors is so much fun! We are rehearsing References to Salvador Dalí Make Me Hot by José Rivera and creating a hot, spicy, visceral, poetic, dreamy, hopeful, fun, and deadly world together. Be sure to check it out. "In his novels and stories, storms rage for years, flowers drift from the skies, tyrants survive for centuries, priests levitate and corpses fail to decompose." .... How I wish I had known Gabriel García Márquez. Read more about his life at work in this NY Times Article. Looking forward, I am super excited to take the inspiration from his work with me this summer as we begin a new Something Incredibly Marvelous Happens. A Place in the Woods by Erik Gernand was Jeff Recommended! So grateful to be a part of The Fine Print Theatre Company, and this production team. 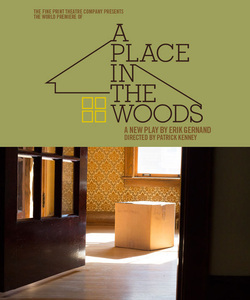 The Fine Print Theatre Company's A Place in the Woods by Erik Gernand opens on Saturday! 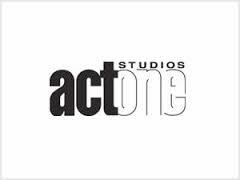 I'm delighted to be part of this company and this production. 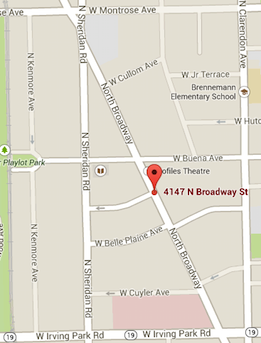 Check it out at the Alley Stage Saturday through May 4.